University of Miami researchers crunched the numbers to determine that nearly 250,000 Medicare recipients living in the greenest parts of Miami-Dade County were 25 percent less likely to have a heart attack than those in the least green neighborhoods. The study was presented Tuesday at the American Heart Association's Epidemiology and Prevention/Lifestyle and Cardiometabolic Health Scientific Sessions conference and published in the Journal of the American Heart Association. "Green space encourages physical activity and cuts air pollution," said Scott Brown, lead author the study and a research associate professor of public health sciences and architecture at UM's Miller School of Medicine. "Some studies suggest even viewing nature and greenness can be beneficial." While other studies say the health benefits of nearby green space can include lowered risk of diabetes, high blood pressure and high cholesterol, the researchers say this is the first one to focus on heart diseases at the block level. If the results are confirmed by other studies, that could guide city planners to focus more on neighborhood parks and tree-planting near homes instead of the overall percentage of green space. "This research could be an argument for having regional park planning that includes greening streetscapes and parks within walking distance of homes," Brown said. The researchers measured the greenness of Miami-Dade's 36,000 census blocks using satellite imagery. Greenery typically absorbs visible light and hard surfaces reflect it. Medicare data from those same census blocks showed rates of heart attack, ischemic heart disease, heart failure and a type of irregular heart rhythm called atrial fibrillation in people 65 and older. The researchers found a significant correlation between living near green space and a lowered risk for three of the four heart diseases studied. Along with the 25 percent lower risk of heart attack, people living in the greenest parts of Miami saw their risk drop by 20 percent for ischemic heart disease and 16 percent for heart failure. For AFib, however, risk only fell 6 percent, which Brown said might be more attributable to genetics. The neighborhood focus of the new research helps clarify how proximity factors into the potential health benefits of green space, said Aruni Bhatnagar, director of the Diabetes and Obesity Center at the University of Louisville in Kentucky. He was not involved in the new study, but Bhatnagar and his team published research in December that found living around dense trees, bushes and other green vegetation may be good for the health of the heart and blood vessels. More work remains to closely tie living in a leafy neighborhood to reduced risk of heart disease. The Miami researchers concede one other limitation of their study is that it focused on a single large oceanside county. Also, when Brown and his colleagues factored in the incidence of diabetes, high blood pressure and high cholesterol, the greenness benefits were much less dramatic. 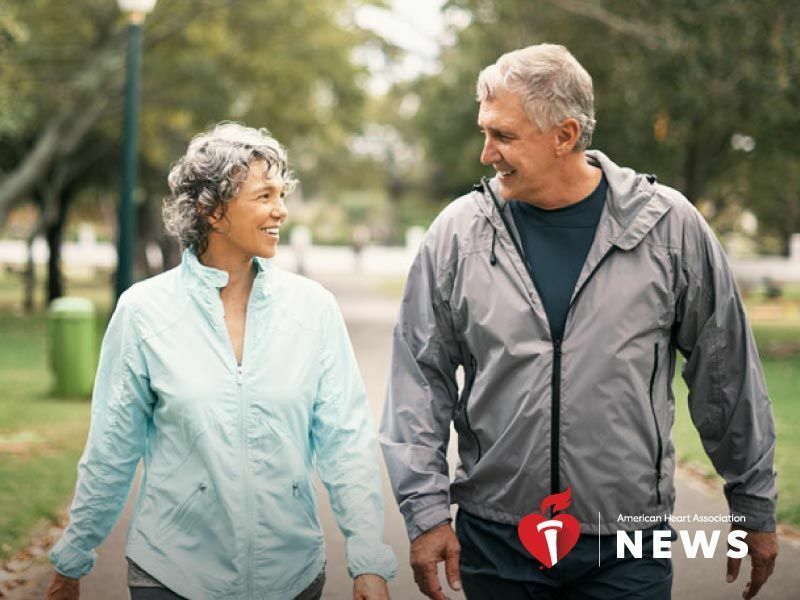 Well-established guidelines for preventing heart disease include staying active, eating a healthy diet, not smoking and maintaining a healthy weight. If living near green space is to join the list, research will need to more precisely show why it's heart-healthy. "We also need to know how greenness affects health," Bhatnagar said. "Does it encourage more exercise? We cannot build a scientific base just on association. And which types of greenness should there be and how accessible?" Brown and his team might soon be able to answer those questions. He said they recently received funding to examine whether greenery and making an area greener through actions like tree-planting are related to changes in cardiovascular health over time.